Accidents involving commercial vehicles and trucks can lead to complex litigation involving businesses, insurance companies, multiple defendants, and federal trucking regulations. 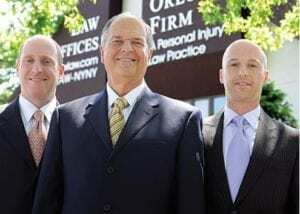 If you have been injured in a trucking accident, you want to be certain that your attorney is adept in handling the complexities of trucking litigation. Our team of Bronx trucking accident attorneys will work to obtain optimal results in your case. Large loads, dangerous products, and other dangerous conditions can lead to catastrophic and fatal accidents involving semis and other large commercial vehicles. If you have been injured in a trucking accident, it is imperative that you contact a Bronx trucking accident lawyer as soon as possible. Our attorneys will immediately begin work on your case to ensure that necessary evidence, including witness statements, black box recording evidence, and driver’s log records are preserved. We will work to protect your financial security and your interests now and into the future.